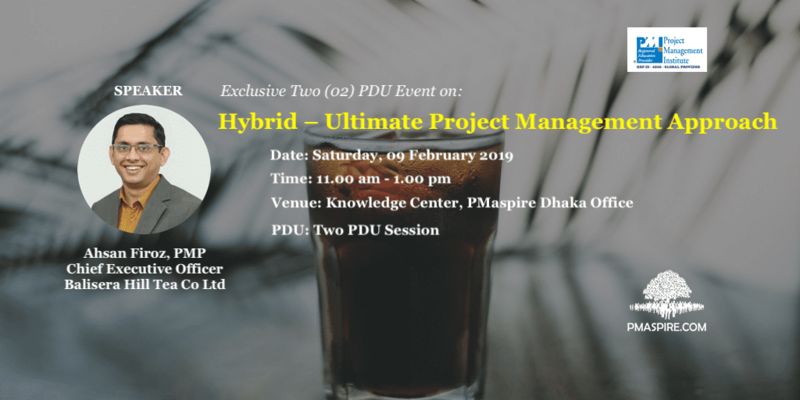 The topic titled “Hybrid – Ultimate Project Management Approach” is a subjective tour guide through the concept, formally placed recently in various platforms across the globe. The core idea of the concept is to break off from the ideology in believing any one of various project management concepts to be timely and correct and rather blending the most relevant characteristics of the concepts to construct a project management methodology ideal for a particular project. The presentation begins with little introduction and recap on contemporary project management approaches with little highlight on the pros and cons apoteketgenerisk.com. Later the presentation switches to how the methodologies can be blend together to construct unique management strategy for a particular project. The presenter will share experience of applying such idea on a few construction projects where detail planning and phased release helped the client in running the operations while the deliveries continued. Ahsan Firoz PMP is an architect with passion and career in project management. Having worked in reputed and large urban development and public infrastructure improvement projects, directly at project management and coordination units Ahsan had the opportunity to attain and apply first-hand knowledge of application of project management concept and theories in practice. His portfolio largely includes sub – project component design, implementation and progress monitoring. In parallel to project implementation he has also drafted inception and strategic paper for many other on going public projects in urban sector. Overall he has worked at projects worth more than USD 300 million over a decade and trained 100+ local government and NGO officials on project inception and management.